Farr Law Firm is proud to announce that partner Will W. Sunter has been accepted into the 2018-19 ACTEC class for the Florida Fellows Institute. PUNTA GORDA – July 24, 2018 – The Florida Fellows of the American College of Trust and Estate Counsel (ACTEC) have announced the selection of its 2018-19 class for the Florida Fellows Institute. Will W. Sunter, partner at Farr Law Firm, was selected for this elite program designed to develop trusts and estates attorneys to become future leaders of the profession. 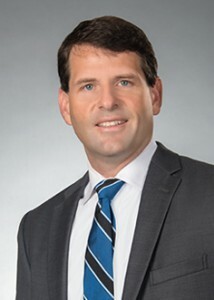 Sunter received his Juris Doctor and Master of Business Administration degrees from Stetson University College of Law and his Bachelor of Science in Finance from the University of Florida. Sunter has been with Farr Law Firm since 2004 and practices in the areas of litigation with an emphasis on civil, real property and probate matters as well as guardianship. The Florida Fellows Institute was created by Florida Fellows of the American College of Trust and Estate Counsel (ACTEC) to develop our profession’s future leaders through a series of in-depth educational presentations led by outstanding subject matter experts in each field. The three, two-day sessions in the Institute begin in October 2018 and end in April 2019. Recognizing the importance of the content of each session, participants to be recognized as Graduates of the Institute will successfully complete all six days of the program. Learn more by visiting www.floridafellowsinstitute.org.